Having worked in the industry for 16 years as an employer and manager of a dedicated team, Richard knows the difficulties of hiring key specialist staff and has tried most methods available over the years. The lessons learnt from this experience are the inspiration for interfacio and the principles of the service that we offer. In 1995 Richard was appointed by Celestion International Ltd as Marketing Director, where he gained valuable experience in the world of MI product manufacturing and global distribution. 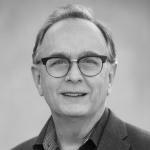 After establishing a Professional business unit and formulating a targeted product development and international marketing program, Richard was appointed Director & General Manager of the Celestion Professional Products Division in 1996. Responsible for world-wide sales, marketing, distribution and development activity, this gave Richard a unique insight into the diverse business challenges and methodologies needed by a specialist global technology brand business. In addition to working with distributors and customers in all parts of the world, Richard has a particularly well developed experience of the US market place and has managed directly a US sales and marketing function from 1995-97. He has continued to be actively involved in sales, marketing and distribution activity in the USA since that time. 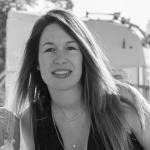 Isabelle is the Director of Business Development for Europe at Interfacio. 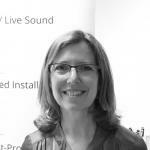 She joined Interfacio in October 2012 after sixteen years working in sales and business management roles in the UK and Europe with Edirol, M-Audio and lastly as European Sales Director with Audio-Technica. Because of her extensive sector experience, Isabelle understands the market from all angles: client, candidate, recruiter. As a result, Isabelle is highly adept at recruiting in key European territories including France, Germany, Italy, Benelux, Scandinavia, Southern and Eastern Europe, as well as specialising in other specialist international markets including The Middle East and Africa. Isabelle Wear is French and has lived in the UK since 1992. 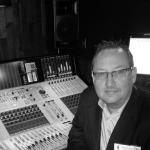 Jo specialises exclusively in recruiting R&D engineers within the audio, MI and broadcast industries. 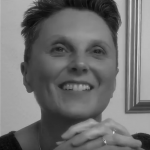 Jo’s understanding of product development – from conception through production to market – comes from her 15 years experience of Research and Development working as an engineer, where she designed real-time embedded systems and developed software in C++ to control automated audio mixing consoles. Prior to this, she studied Electronic Engineering at Nottingham University, followed by completing a Masters Degree in Environmental Acoustics at London South Bank. 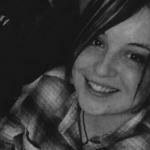 She started her career in engineering on an apprenticeship course sponsored by Thorn EMI, and after gaining experience in a variety of departments, then moved to Soundcraft to design audio mixing desks, focusing on software development for large automated analogue consoles. Because of her background, Jo is able to use her experiences from within the industry to match up talent with the exciting opportunities available, and provide support and career advice to talented engineers. An active musician and pianist, she enjoys playing a wide spectrum of music in her spare time, ranging from Mozart to Mingus. Bardy Hayes is a sales and management executive with bottom up experience in the Professional Audio, Lighting and Musical Instrument industries. His focus with Interfacio is matching top candidates with our impressive client base, primarily in the Americas and Asia Pacific where his experience, expertise and large contact base is the most developed. Bardy started his career as owner of a regional touring and systems integration company, where he progressed through national distribution to doing export sales for some of the key pro audio brands. He has worked with industry-leading brands both domestically and in export markets and has practical experience with sound system design, operation, installation and live sound mixing. To learn more about Bardy’s experience and insights recruiting in Asia you can read his article published by Pro AVL Asia Magazine Observations For Recruiting in APAC here. 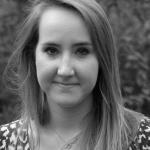 Nicole is an experienced office manager and member of the Chartered Management Institute. She is relishing her new role as part of the office team at Interfacio, keeping systems and procedures up to date, developing new ones and assisting with the efficient running of the day to day administration and the smooth workings of the office. Before to coming to Interfacio, Nicole worked as a Business Services Manager at Arup, the global firm of designers, planners, engineers, consultants and technical specialists, and prior to this was Administrative Director at a private, undergraduate business school. Seychelle Potter has been working with Interfacio since February 2018, in a support role for Isabelle Wear. Seychelle supports and guides candidates from registering them on our database up to organising their interviews with clients. She speaks fluent French which is helpful for all our French candidates! Seychelle’s previous experience is in customer support, where she worked for several years as a PA.
Maria works closely with Richard Wear and is responsible for senior sales and marketing roles across Europe, UK and USA. 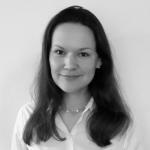 Maria has 7 years recruitment and HR experience in Moscow, of which 3 years were in agency recruitment, specialising in financial and legal. Maria later joined a leading retail bank where she was responsible for middle to senior level recruitment within legal, financial, credit cards and private banking. She took a career break to raise two daughters, while at the same time completing a CIPD level 5 certificate in HR Management. Maria returned to recruiting for a London fintech start-up. Bobby Jons has been working with Interfacio since June 2018, in a support role for Jo Hutchins. Bobby supports and guides candidates from registering them on our database up to organising their interviews with clients. Prior to this Bobby studied Further Education Teaching. She has planned, designed and delivered IT training courses for both training companies and further education providers, and privately to professionals, silver surfers and job-seekers. An active singer and musician, she enjoys playing a variety of instruments in her spare time as well as singing in a choir. Alice Walton has been working at Interfacio since April 2017, when she started as a Recruitment Administrator and carried out our data migration from our old CRM to the one we’re currently using. Since then she’s carried on as a part-time Data Analyst and providing support for the consultants in resourcing and administration., working around her Masters in Speech and Language Therapy. In 2018 she took on the role of GDPR/Data Protection Administrator, preparing the company for the new regulation by rewriting policies and processes and becoming as much as an expert as she can on the topic. Cathy Bell joined Interfacio in August 2018 and works closely with Nicole McGlone as a Recruitment & Office Administrator. More recently, Cathy has also taken on the roles of marketing co-ordination as well as a Resourcer Support role, in which she works closely with Bardy Hayes on opportunities in APAC and the Americas. Coming from a broadcast media background, Cathy is excited to broaden her knowledge in all other areas of the media industry as well as learning from some fantastic recruitment resourcers & consultants at Interfacio. Cathy is a big fan of rugby union and 50s rock ‘n’ roll (although she won’t be tackling anyone or jiving with her colleagues whilst at work! ).